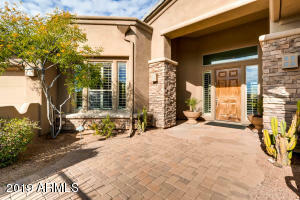 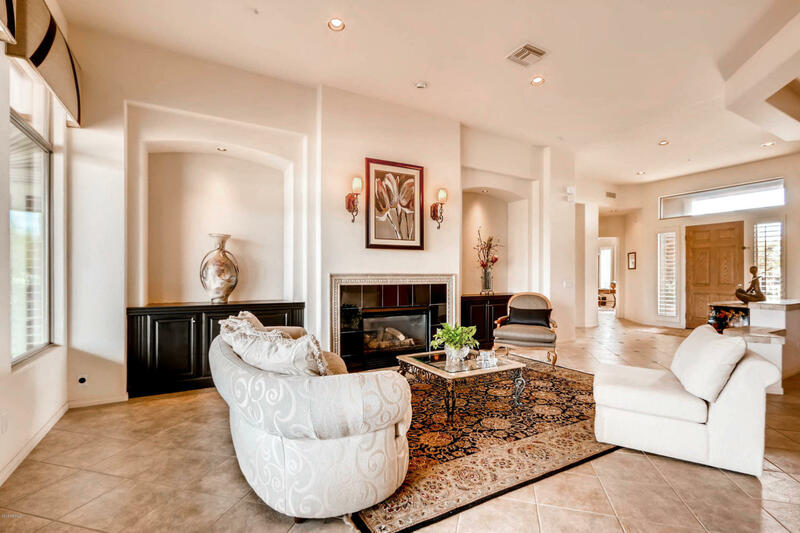 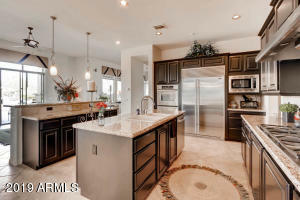 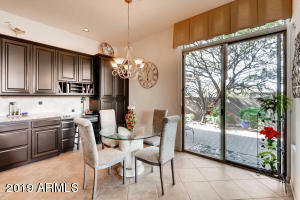 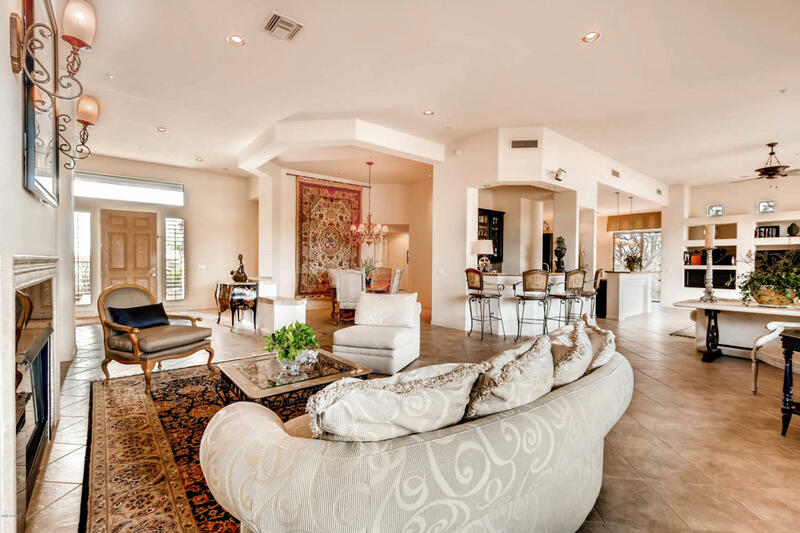 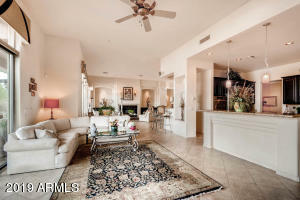 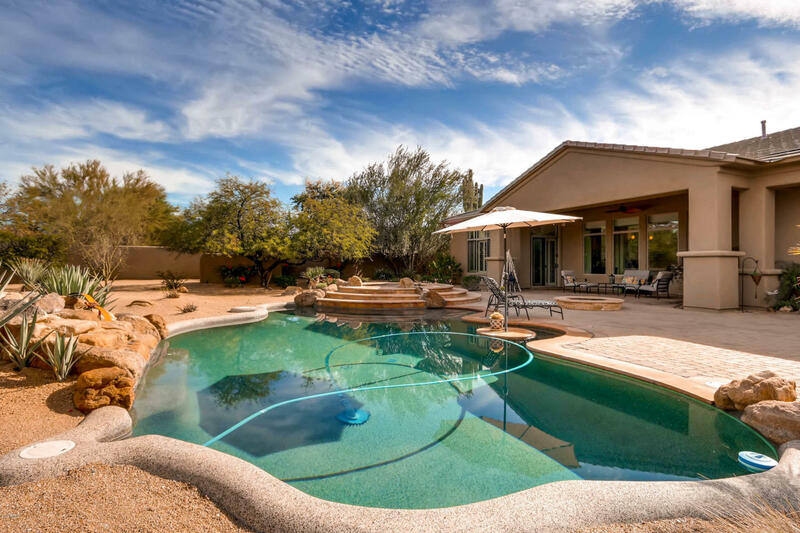 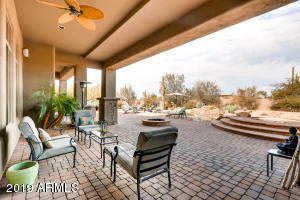 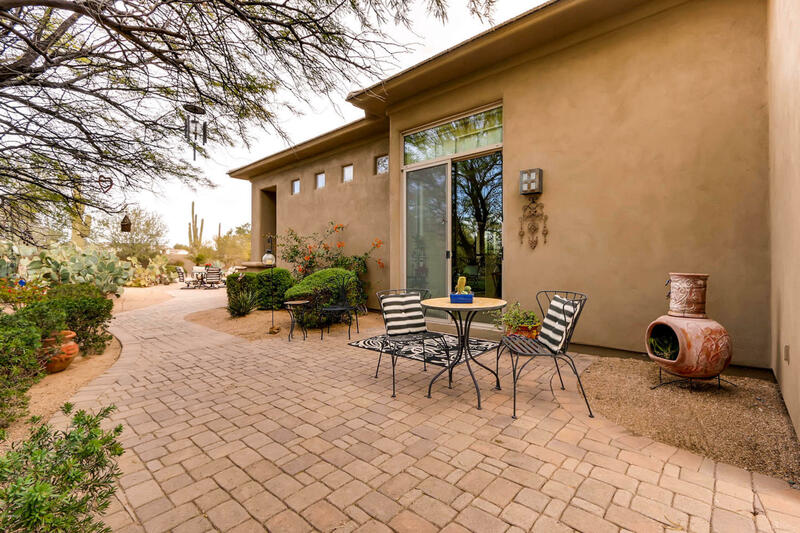 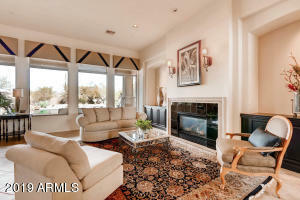 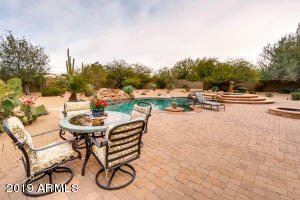 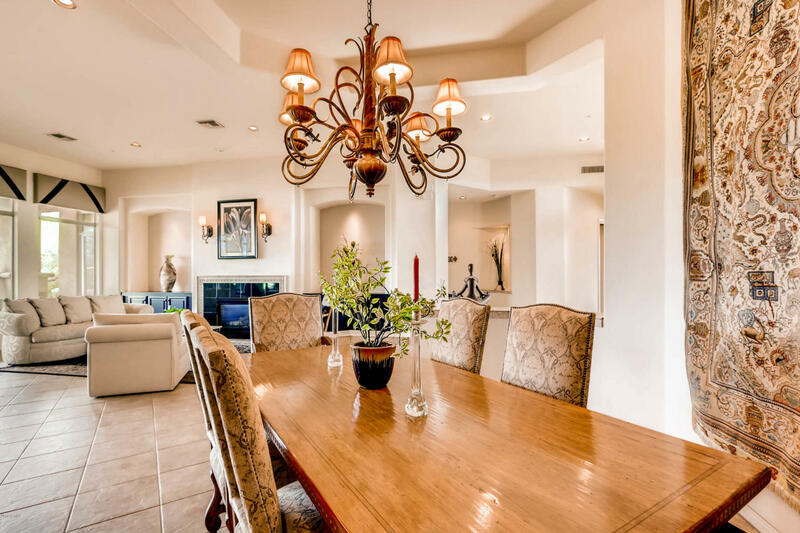 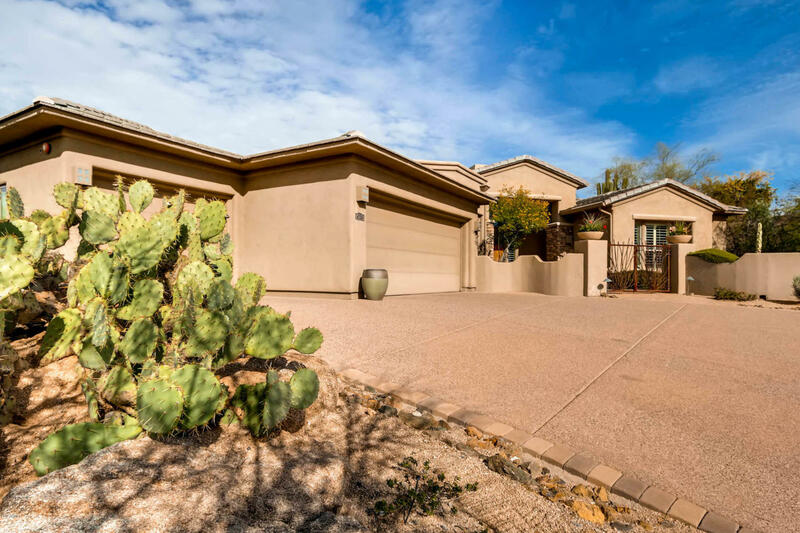 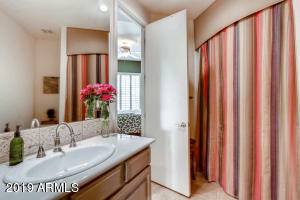 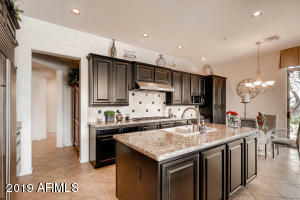 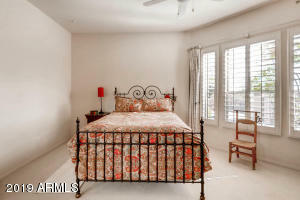 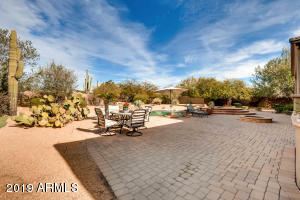 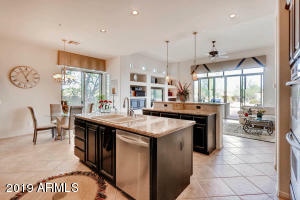 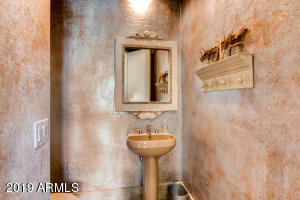 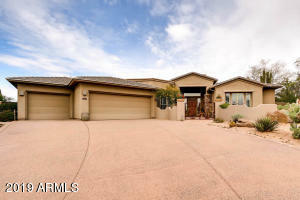 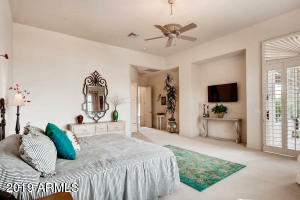 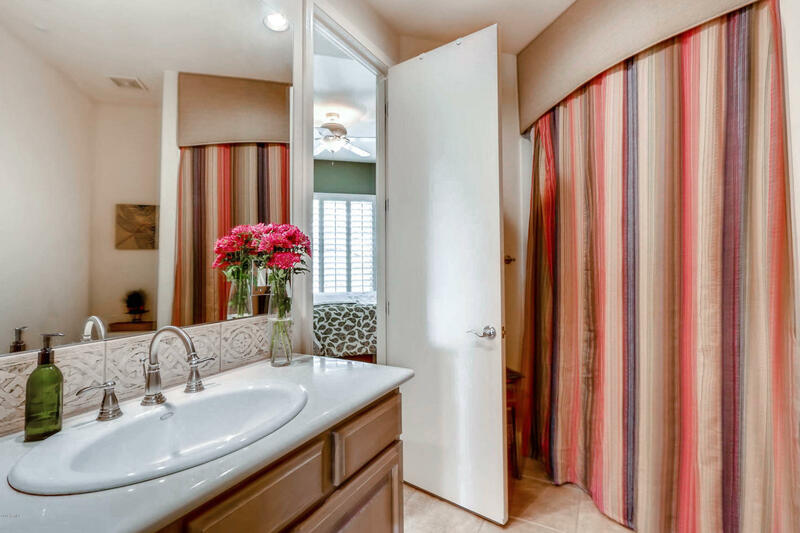 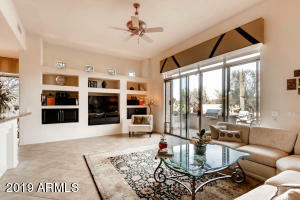 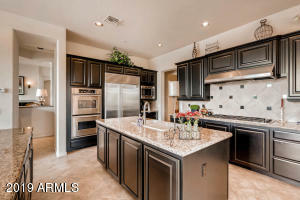 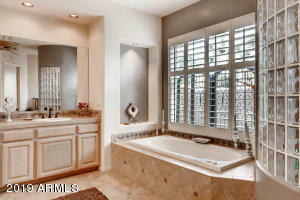 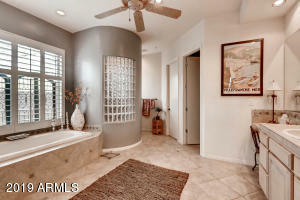 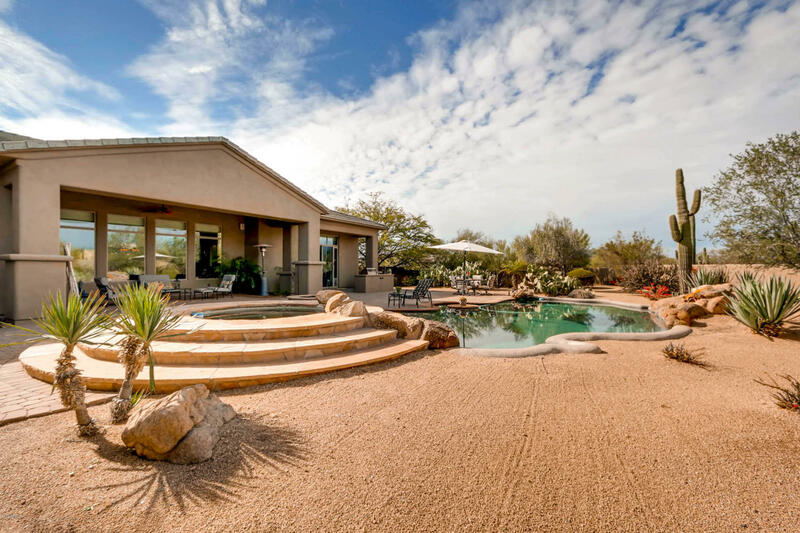 This luxury home is in the gated community of saguaru highlands. 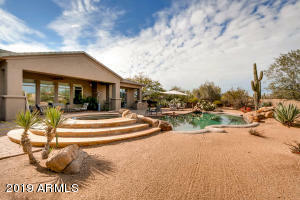 The residence is located on an acre plus lot, with gated entry courtard and stone waterfall. 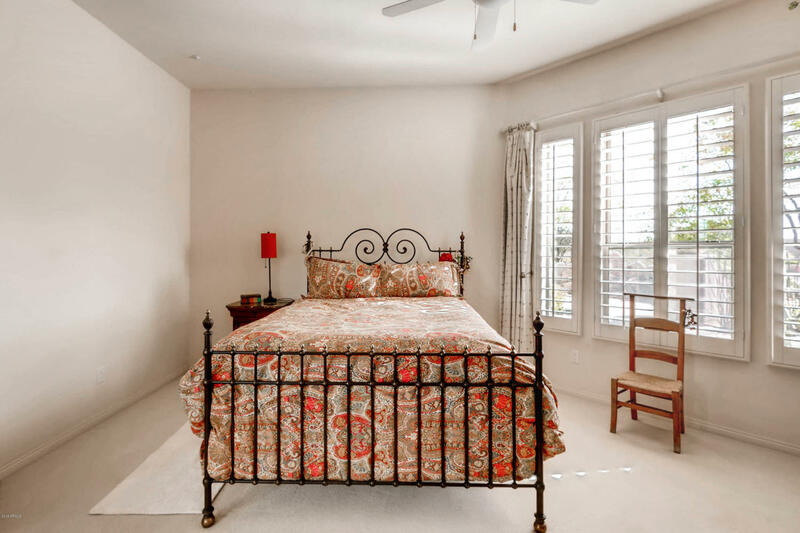 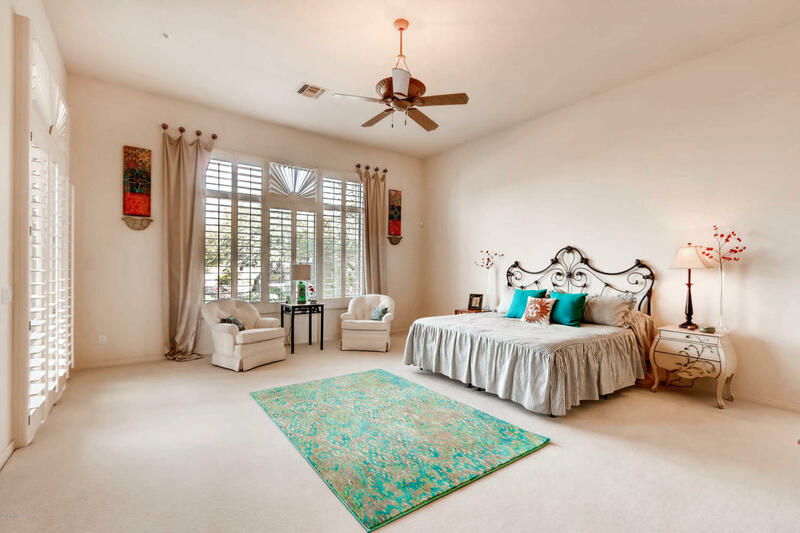 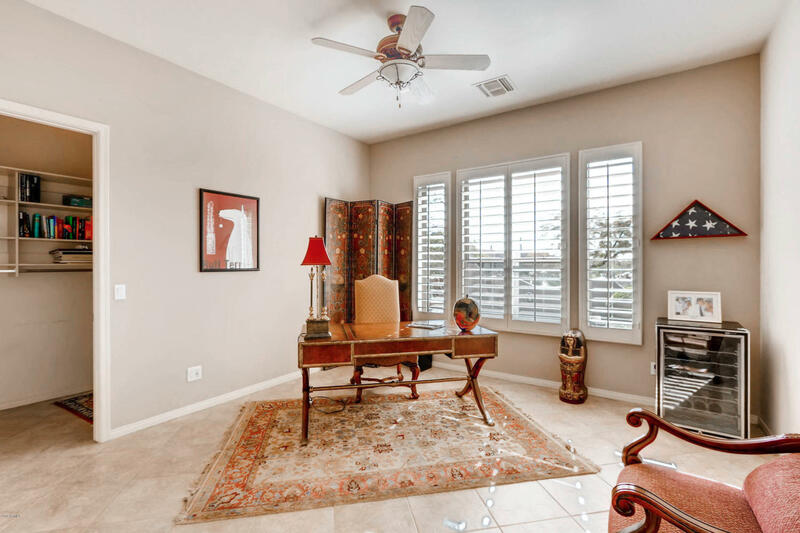 The spacious open floor plan offers natural light throughout, including plantation shutters. 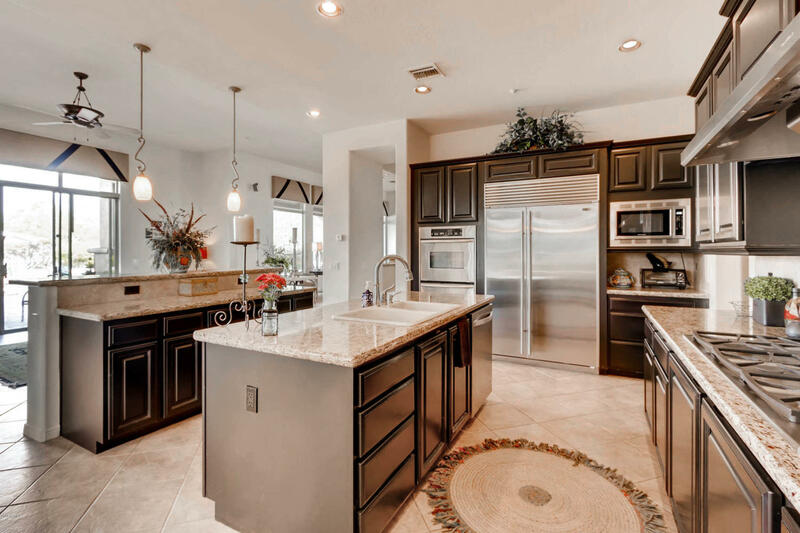 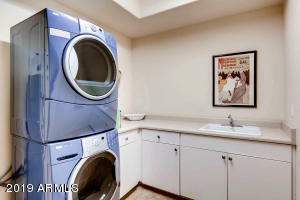 An entertainers delight, a gourmet kitchen with beautiful custom cabinets, stainless steel appliances, sub-zero refrigerator, double ovens, large 6 burner gas stove. 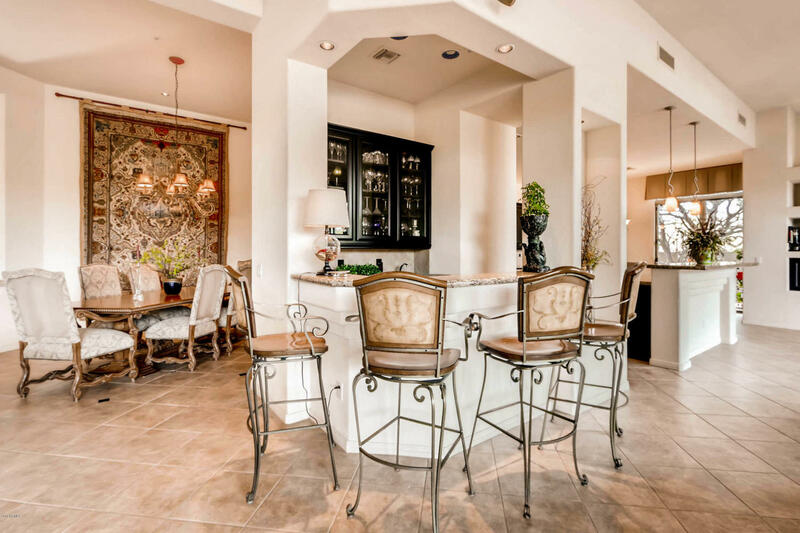 A full wet bar overlooks the comfortable family room with surround sound. The formal dining room offsets the living room with a marble framed fireplace. 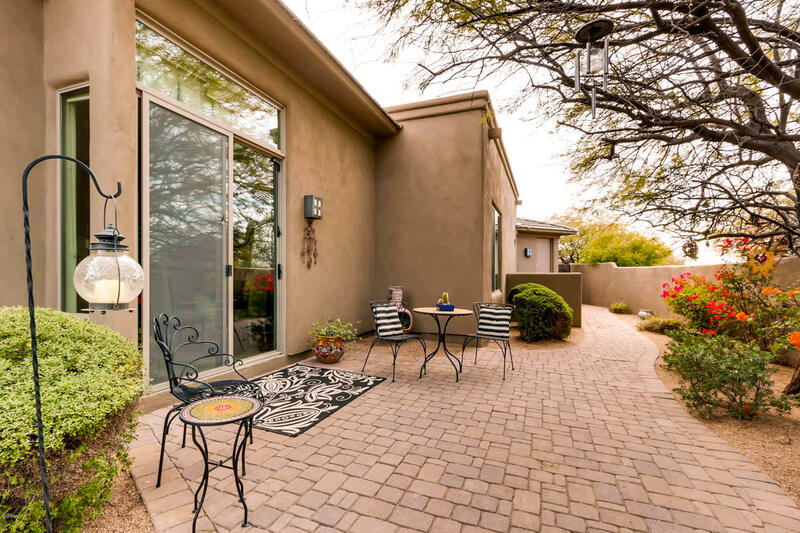 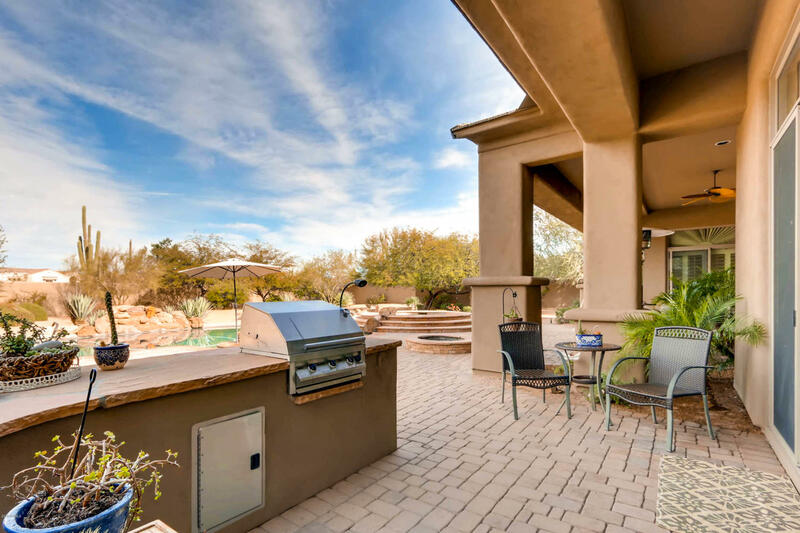 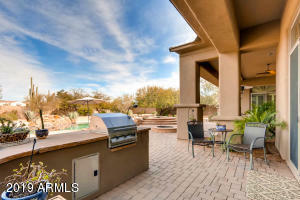 The expansive backyard includes 2 covered patios, plus built-in bbq. Sparkling pebble tec beach entry pool, plus 3 tiered flagstone heated spa and custom fire pit. 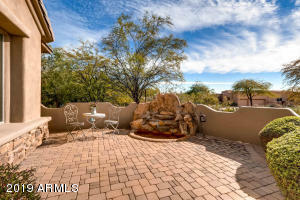 Lush landscaping and privacy walls complete the outdoor setting.